DELRAY BEACH — The Delray Beach Chamber of Commerce gathered at Avenue Pilates, 430A NE 5th Avenue, Delray Beach, Thursday evening for its monthly business card exchange. Ziree Thai and Sushi, 401 W. Atlantic Ave., catered the affair. Next gathering: August 13 at House of Appliances at Lake Ida Road and Congress Avenue. 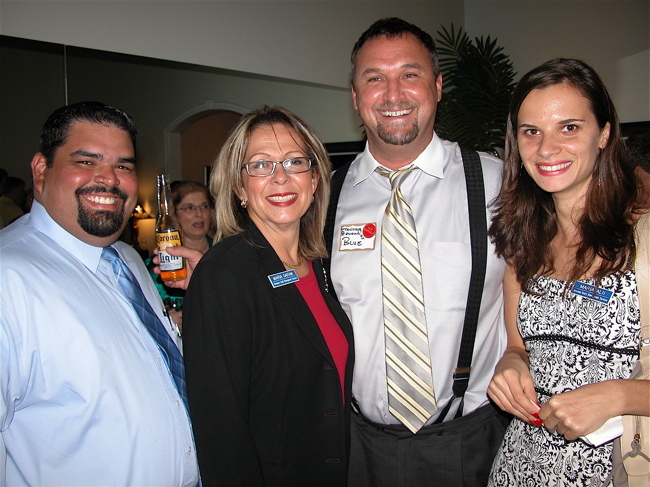 Luis Correa, left, with Maria A. Gaitan, Jeffrey "Blue" Caniff and Maria Alii. Correa, Gaitan and Alli are all with Consumer Credit Management Services of Delray Beach. Caniff is with Right Track Financial Services in Delray Beach. 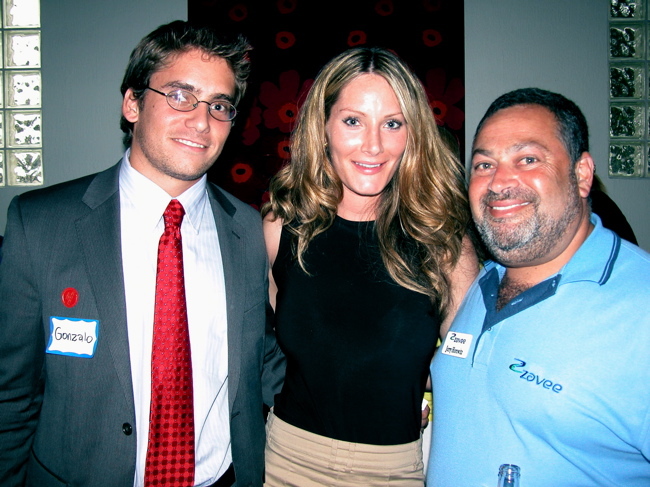 Gonzalo Olmedo of Rohrer Cosmetic & Restorative Dentistry, left, with Kenya Greenwood of CompuPay in West Palm Beach and Jerry Horowitz of Zavee in Delray Beach.